The upcoming Intel Haswell platform will surely strengthen Intel’s high-end market positions but it seems the company needs something in the budget segment too. This is the reason why the famous US corporation will soon release two more budget-oriented Celeron processors based on the Ivy Bridge architecture – the mobile Celeron 1005M and the mobile Celeron 1017U. The mobile Celeron 1005M will feature two cores that operate at 1.9 GHz, 2 MB of L3 cache and Intel HD graphics at 650 MHz/1000 MHz for a TDP envelope of 35 watts. 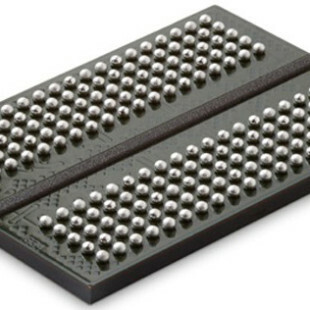 The chip will not offer Hyper-Threading technology and will debut in PGA packaging. The other newcomer – the mobile Celeron 1017U will offer very low operating voltage, two cores at 1.6 GHz, 2 MB of L3 cache, Intel HD graphics at 350 MHz/1000 MHz and TDP of 17 watts. Just like the Celeron 1005M the chip will not support Hyper-Threading but will come in BGA packaging. The first Celeron chips on the Haswell architecture will arrive in early 2014 and until then customers who need a budget-oriented chip will have to rely on Ivy Bridge processors. Both the Celeron 1005M and 1017U will come out in Q3 2013 but pricing as of now is unknown.